Strictly is already glamorous, but this contestant ups the glamour levels pretty significantly. 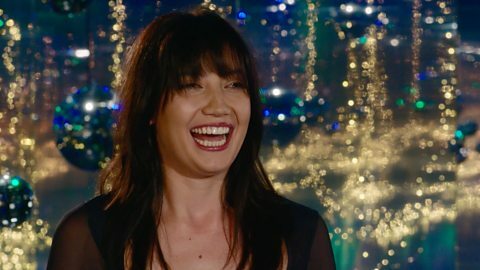 Swapping the catwalk for the dancefloor, it’s model contestant Daisy Lowe! I've been training with my personal trainer three times a week to strengthen my core - I figure I'm going to need it for all those lifts! Her modelling career began in her early teens, but truly took off at the age of 15 when she was signed by elite agency Select. Daisy has appeared in print and on the catwalk for designers including Tommy Hilfiger, Dolce & Gabbana, Pringle of Scotland, Marc Jacobs, Ben Sherman and Vivienne Westwood. All four of them were finalists – can Daisy follow in their footsteps and get within reach of the Glitterball Trophy, or will it be a short walk back to the catwalk?